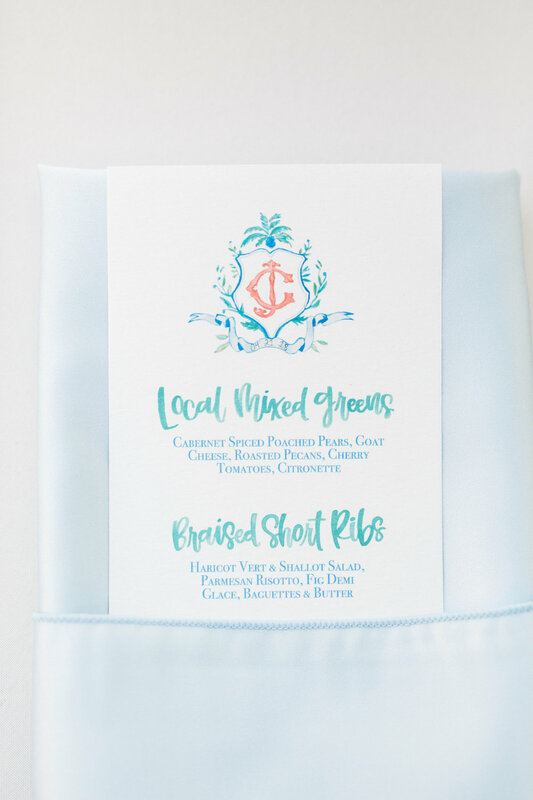 We love incorporating your wedding crest into the overall design! 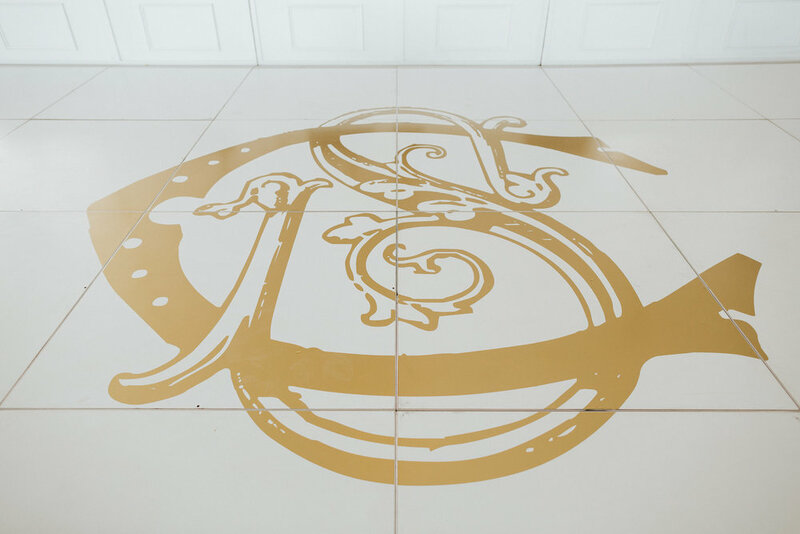 If you are wondering what a wedding crest or monogram is…it is a unique symbol that represents the wedding day and your new initials together. General rule of thumb, either use all 3 initials or simply use the last name initial. It can use colors or embellishments that are a part of your wedding day style. It is a great opportunity to tie together all of the decor and keepsakes and add a personal touch. The options are endless, below are some different ways to show it off!